Last week, I shared a Traditional Thanksgiving Menu. I told you a little about my Mom and her knack for making stuffing and orange jello salad. I wrote about how Mom makes the best Thanksgiving dinner ever. Well… Mom has had to make some changes in her life recently. She’s had to go gluten-free. Mom was feeling very sick earlier this year, and after many, many tests, the docs finally figured out that she had Celiac Disease. The gluten in her diet is what was making her sick. So she’s had to change her diet to one that is completely gluten-free– not an easy feat when you’re in your later years, but thanks to companies that are producing more gluten-free products, restaurants that are more sympathetic to dietary needs and blogs like Gluten Free Girl, she is doing pretty well with it all. Celiac disease is an inherited condition that causes an extreme physical reaction when gluten is ingested from grains like wheat, barley, and rye. The condition is not curable, and can become severe, damaging the small intestine and causing poor absorption of vitamins and minerals or malnutrition. Though it usually cannot be cured, gluten intolerance can be addressed by avoiding products which contain gluten. So in honor of Mom, and all of the other folks who need to eat gluten-free, I’ve put together a completely gluten-free Thanksgiving Menu. By the way, everything on the menu is completely edible and delicious–even for those who can eat gluten. Roasted turkey is pretty easy to do gluten-free. You just need to be careful about buying a turkey that has not been injected with any ingredients that contain gluten. 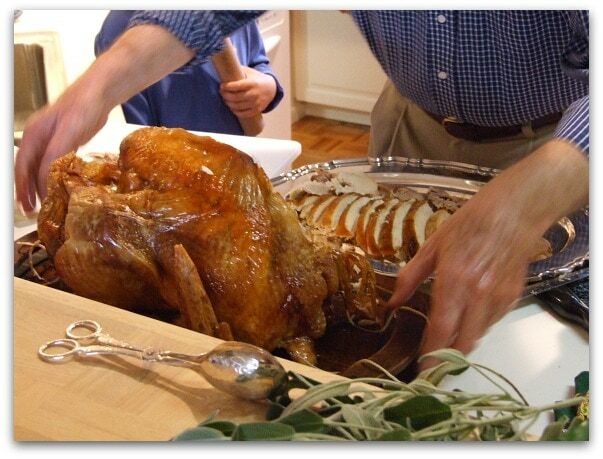 I’m directing you to the Gluten Free Girl & The Chef blog for how they roast a turkey and make gluten free gravy. This is a creamy mashed potato recipe that is very simple to make-ahead. 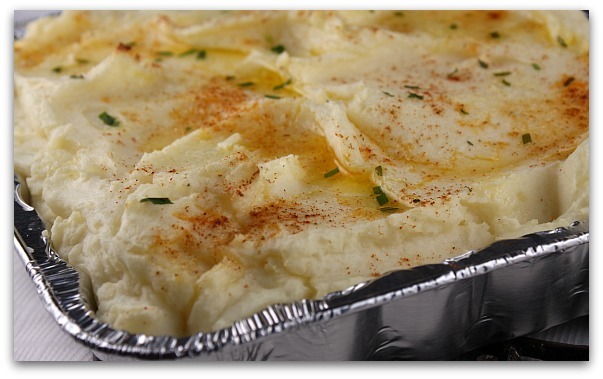 Potatoes are naturally gluten-free, and added dairy products make it creamy and delicious: Creamy Oven-Baked Mashed Potatoes. Stuffing, oh stuffing. That’s a tougher one to make gluten-free. I decided to make a gluten free cornbread stuffing. I started with a GF cornbread mix, used a fabulous GF dried bread cube stuffing mix from Whole Foods Market, and added in bacon and sauteed vegetables. 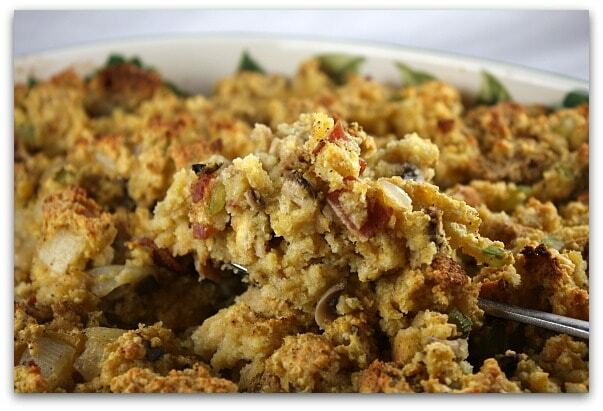 We all thought this was a pretty fabulous stuffing: Cornbread and Bacon Stuffing. The flavor and texture were just as you might find in a classic bread stuffing. Every Thanksgiving dinner needs sweet potatoes or yams, right? 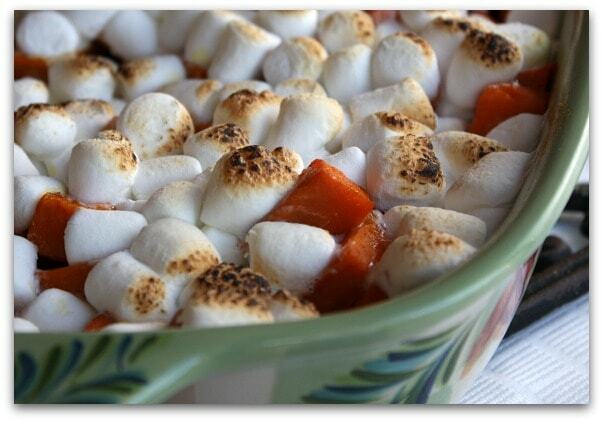 These yams are simply roasted with a caramelized orange syrup and topped with marshmallows (gluten free! ): Caramelized Yams with Toasted Marshmallows. 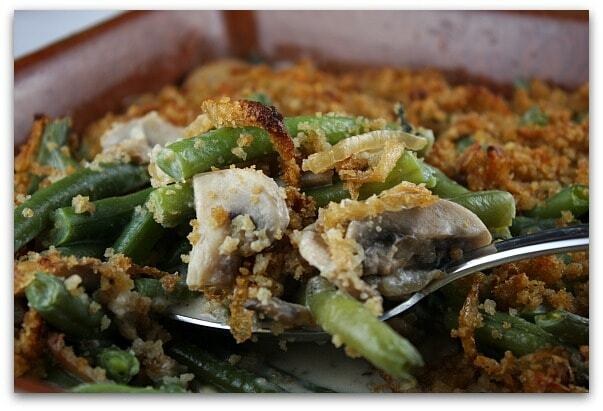 I’m sure there are quite a few Celiac’s out there who might be missing the classic Campbell’s Green Bean Casserole. This recipe is a terrific substitute and it was my favorite dish of this menu: Fresh Green Bean Casserole with Caramelized Onion- Breadcrumbs. Fresh green beans are mixed with a creamy fresh mushroom sauce. The french fried onions in the original Campbell’s recipe are replaced here by caramelized onions mixed with GF breadcrumbs. SO good. 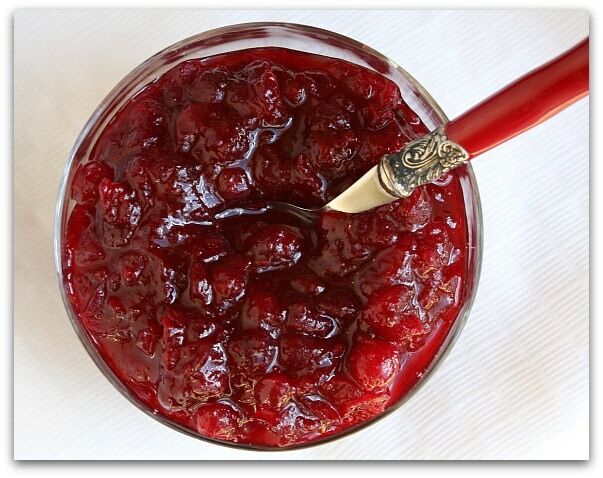 Classic Cranberry Sauce is another one that is easy to make naturally gluten-free. This recipe is tainted with a little bit of sweetness, orange zest and spice. 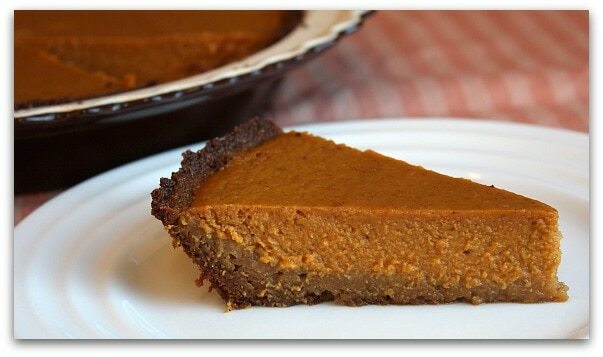 For dessert, I made a Ginger- Pumpkin Pie with a gingersnap crust. Gluten-free gingersnaps are pretty easy to find. I wasn’t sure how they would taste, but they’re actually pretty close in flavor and texture to regular gingersnaps. My son ate them up like they were any old cookie, and they worked great as the crust for this pie. A little added fresh ginger in this pie gives it even more zing. 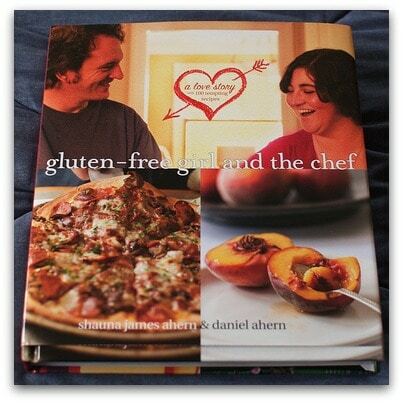 Shauna and Danny Ahern have recently published this book: The Gluten Free Girl and the Chef. It’s a beautiful book, a romantic love-story between the two of them, and it includes some lovely recipes for those gluten-intolerant folks- who would like to live a normal life, cook up a storm and eat good food… food like Multigrain Waffles, Berry Pancakes, Gluten-Free Crackers, Warm Polenta with Goat Cheese, Crusty Loaf Bread, Focaccia Bread, Fresh Gluten-Free Pasta, Bacon-Wrapped Pork Belly, Chicken Braised in Red Wine, Boeuf Bourguignon, Blackberry- Peach Crumble, Fresh Pear Tart, Cinnamon Creme Brulee, and Chocolate- Peanut Butter Brownies. Sounds excellent, even if you’re a gluten-eater, right?? Yes, this cookbook would be nice for gluten-eaters, too. Shauna (the Gluten Free Girl) has an amazing story. I’ve had the chance to see Shauna speak at a couple of conferences this year, and I can tell you with 100% certainty that she is truly passionate about creating gluten-free food for herself and her family and the readers of her blog. She’s the real deal. You can purchase your own copy of The Gluten Free Girl and the Chef here. Recipes for the Thanksgiving dishes featured above can be found by clicking on the recipe titles. Special thanks to Shauna, the Gluten Free Girl, for her assistance with my Mom’s journey into gluten-free eating, and to the publisher- Wiley & Sons for providing a copy of The Gluten Free Girl and the Chef for one lucky RecipeGirl reader. My friend posted a delicious salad recipe from your site onto facebook. I went into the Recipe Girl site and saw that you have a Gluten-Free Thanksgiving Menu. My 15 year old daughter was just diagnosed with Celiac Disease so I really appreciate you posting this menu! I signed up to get your newsletters and look forward to them! Thank you! What a wonderful menu – this will be our family’s first gluten/wheat free holiday – and it looks to be a really nice one with such a menu as this. Thanks so very much for a wonderful website. I hope you find a couple of things you’d like to make! I need to do another GF Thanksgiving this year for my Mom. Will be trying some new things! thank you so much for all the ideas for a gluten free thanks giving my daughter is 19 months old and was diagnosed with celiac in June this year.. i am still pretty new at this and i am hoping this turns out perfect..
Amazing Thanksgiving Menu and recipes. Like your Mom, I am in my 60’s, and was diagnosed with Celiac Disease in the last year. I have loved cooking all of my life — even owned a Bakery and Deli for 7 years. Had symptoms then, but doctors simply did not understand Celiac Disease and its prevalence. Anyway, I have taken it slow, eating predominantly fresh meats and vegetables. This being our first Thanksgiving being totally gluten-free had me in a panic, but your recipes will make it a special meal that I know we will thoroughly enjoy. Thank you sooooooooooooooo much! You’re welcome- enjoy your GF Thanksgiving! I have my Mom with me again this year, so I’ll be coming up with some more ideas! I am so excited to find this site. My ten year old daughter was diagnosed with Crohn’s Disease last year, and I am trying to go gluten free for her. This is so helpful. I am excited to try your pumpkin pie! Thanks for posting. New to GF foods. Thanks for your ideas and recipes. Would love to win Shauna’s cookbook! My daughter has celiac so we have become a totally gluten free family. Love the gluten free girl blog, would be great to win the cookbook! This cookbook looks amazing. Beautiful pics. Enjoyed your article very much. My boyfriend is gluten intolerant, and I want him to be able to eat everything! Upon recommendation from my husband’s doctor, he is going to be starting a gluten free diet soon so this cookbook would be ever so helpful. This will make a very nice addition to my collection of cook books. My roommate has celiacs disease this would come in handy. I have a neighbor with Celiac’s disease. This cookbook would make a great gift! My husband has been having digestive issues lately and I have been wondering if incorporating more gluten-free dishes into our meals might help smooth things out for him. A gluten-free Turkey Day can be just as yummy! 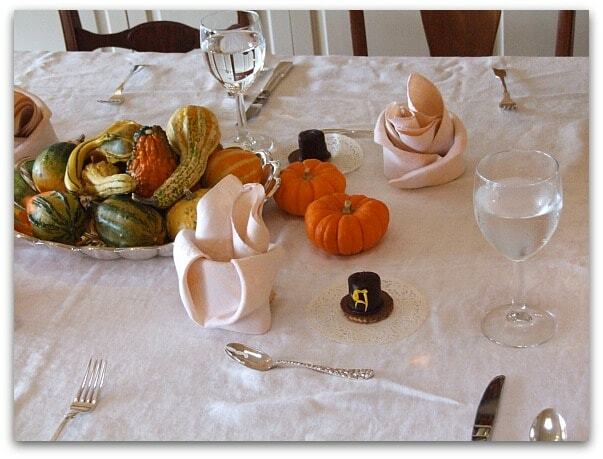 thank you, thank you for posting this menu, I worried about what to eat without sticking out like a sore thumb and you gave me the solution ;), happy gobble gobble day! Surprisingly, I don’t know anyone who has Celiac. However, I’ve been curious about gluten free cooking and would love to add this cookbook to my collection. Thanks! The menu looks amazing. The recipe adaptations are perfect. Easy to follow, delicious looking, and fantastically gluten free. Thanks for sharing! I have a good friend that I also work with who deals with it. It’s been enlightening learning about it. I have a friend who was recently diagnosed with celiac disease. She is struggling to find alternatives that don’t aggravate her disease. She was ill for a long time before doctors could figure out what was wrong with her. It’s so great that someone has come up with a cookbook that shows that people who have to live gluten-free don’t have to give up good tasting food.